We have a small faithful congregation with festivals playing a central role in the life of the community such as our Christmas ‘Carols By Candlelight Service’ which attracted 150 people. We have a traditional service structure of Eucharist and non Eucharist. Finances are healthy but we are not complacent and we work very hard at securing the funds we need. We are fortunate to have our small community some talented singers and musicians who provide a nucleus to convene impromptu groups of singers, small choirs, readers and to involve people and families outside or on the fringes of regular worship, especially younger members of the community. 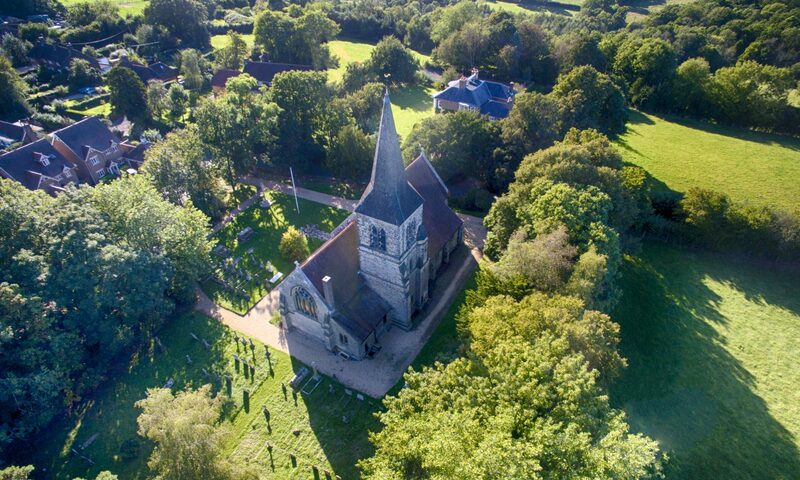 In the past year two concerts have taken place in the church, and in our Statement of Needs and Significance we have plans to develop toilet, kitchen and parking facilities to enable further development and use of the church. The PCC consists of the two churchwardens and four others. The meetings, which are held about four times per annum, are held in a spirit of real Christian fellowship and a united purpose to keep and sustain the church in Highbrook as a place of worship. The Churchyard is kept in good order with the assistance of a part-time professional, and a small team of ladies from the community, supplemented by the occasional working party. We pride ourselves on being ecumenical. One of our PCC converted to Catholicism but continues to regularly attend our meetings, and we share with St Margaret’s an annual service with the RC Chapel of St Dunstans in West Hoathly.